V.H. Dale, S. Brown, M.O. Calderon, S. Montoya and R.E. Martinez. 2003. 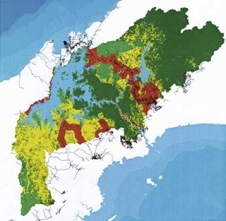 Estimating Baseline Carbon Emissions for the Eastern Panama Canal Watershed. Mitigation and Adaptation Strategies for Global Change 8 (4): 323-348.